Aside from a few random blog posts that I want scheduled for this month, I've got my post for this month's The Circle link-up, catching up (aka editing) my 365 posts, and some fiction as well. So a little bit of everything, I suppose? Unlike a lot of bloggers, my blog is pretty much all about me (sounds like a great read, I know). As a single twenty-something, I don't have adorable kids or a hot boyfriend/husband to focus my thoughts, writing, or photos on. So it's pretty much all about the many thoughts that run through my mind on a daily basis. Fascinating, right? Hmmm...that's a good question! I tend to batch-write my blog posts and will generally write a few week's worth of posts in one weekend and when I find that I'm out of posts, I'll dedicate time to writing more. But I try not to force myself to write anything, so I'll also have a bunch of drafts I can just add photos/graphics to and publish if need be. I've found that with work, my biggest tip is to keep lists of post ideas. I'm not really a planner girl (I much prefer keeping track of things mentally and on sticky notes), so I'll just jot down post ideas if they pop into my mind, often right before bed. I've also noticed that my biggest obstacle when creating posts is coming up with photos to go with them. Working a full-time job sometimes takes daylight hours away from me to take photos, so I'll try and batch-photograph images as well if I have the time on weekends. So to sum it up, batch-writing and batch-photographing is how I roll. Because I need to. Because I love the community. And because I cannot imagine not doing it. It was a weird thing to jump into, and I never thought it would meet my needs for community, but it has and I'm so grateful for it. Amy from Taking Steps Home. You honestly cannot not like this girl. She's hilarious. She's honest. She's open and she's honestly like a big sister to me. Full of so much wisdom, inspiration, and love. That girl rocks. Amber from Under the Oklahoma Sky. This girl is another sister, pen pal, and just fellow lover of blogging. She's got a contagious enthusiasm and love of life and she inspires me to live my life out, despite my relationship status and who people say I should be/have at this moment in time. Victoria from Through*For*By. Victoria is quite honestly one of the most thoughtful bloggers out there. She's a dedicated reader and always knows when to send a little email or note asking how I am. Her ability to read my mind and just speak words of encouragement into my heart is a-mazing, to say the least. 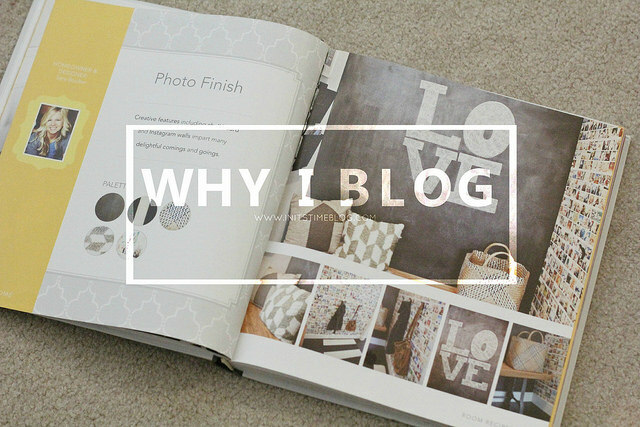 So why do you blog? What do you love most/least about blogging? What are your goals, hopes, or dreams about your blog and the blogging community in general? I now will be singing "All About That Bass" all day. And I'm glad you blog because how else would we have met?! I love that your blog is all about you... because you being you is so inspiring and humble and joyful and peaceful. When I click on your posts I instantly feel some peace. And that's such a good thing. Keep on my friend! I totally batch write posts, and when I get the chance (because I always lose that list of post ideas lol), I go in and make draft posts with just the titles. I also love blogging, and I've made a lot of friends doing it! Hahha I love the title. Immediately all about that bass came in my head! I love this post though, it's so fun getting to know you and your blog more! I think it's kind of funny that you have the words ready and add the pictures and graphics later, because it's the other way around for me. I have drafts full of pictures and then go through and add the words later. I loved the look into YOUR process! What you said about your blog being all about you is also funny to me...You're right, but it never feels like that! I love your space and the variety and the way that you tell us about your life without making it all about you. I can't wait to read the fiction you're working on!!! I'm so glad you blog so that Meg could connect us! So interesting to find out more about different blogs and the processes behind the writing. I am such spur of the moment writer...I try to plan, and I sometimes have posts that I am working on consistently in my drafts folder for weeks...but sometime I just sit down and crank out a post cause it's on my mind. 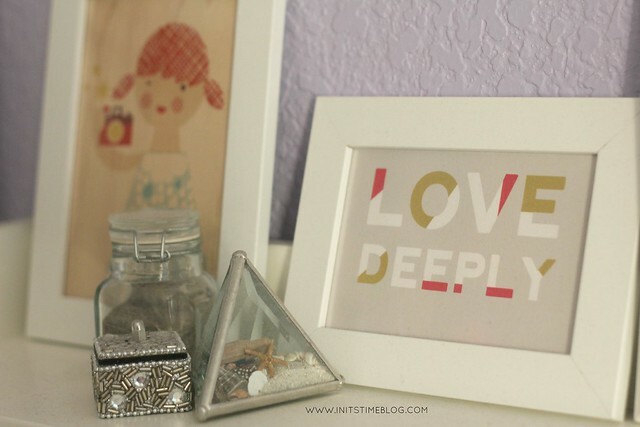 And, I love your blog Kiki! It's so well written and laid out...you don't need kids, or a man to make your life interesting. It's interesting because it's YOU. Keep on writing girl! A letter is on its way to you as we speak! And I'm glad you're not sick of me writing about well, me. I find it weird to admit it, but my blog really is all about me and I'm glad you don't see it as a boring self-centered read. I'm humbled and blushing at the fact that you find it so peaceful (that's exactly how I would describe yours!!). And making friends via blogging is THE best part about blogging. 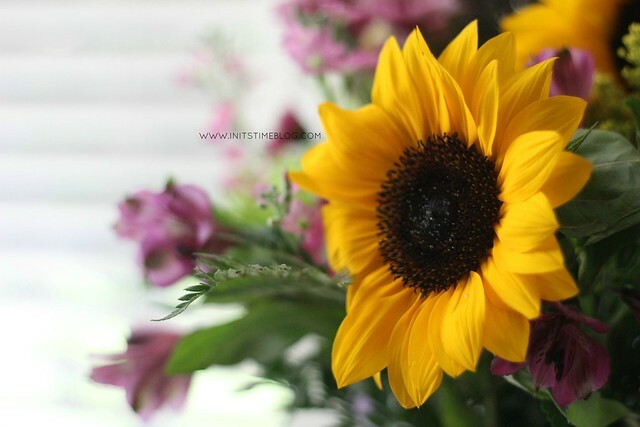 I love writing and photography but the friends from blogging top it all off! Yay!! I can't wait to read you post! I'm actually working on fiction right as I speak! I've got a tab open and a draft halfway done! Me, too! I'm so glad you tagged me! :) I think it's really fun to get to know the blogger behind the blog and loved getting to know you, too! And thanks, friend! Your sweet words reminded me that I don't need someone to be happy. Just Jesus! I can't wait to read your letter! I apologize for not getting one to you sooner (hopefully you've gotten mine!)!! I'm with you on the batch writing and also the photo to go with posts obstacle - but I think you're way more successful at it! I always love your graphics. I also love this affirmation of why I blog too. Didn't expect to be part of this community or love being in it so much, but now that I've got all these new bloggy friends and skills and knowledge I can't imagine life another way. Fun stuff. And I so get what you mean about the surprise of the blogging community. When I first started blogging, I heard a lot of bloggers say that but since I hadn't reached out and met other bloggers, I had no idea what they were saying. Now I can't stop talking about how awesome it is! and i love that you batch edit posts/pictures - i wish i did more of that. i will say at this point i do have A LOT of random drafts sitting in for a rainy day(s) so that is always nice. AND GIRL you are so kind to tag me! :) now to make this happen! haha. I feel so weird saying that I need to blog - but I totally agree with you! I can't imagine not doing it. I think that blogging is like... an umbrella art form. As in, it's an art form all on it's own, but it also covers all the rest, if that's what you're posting about! And of course, the community is awesome. Online/correspondence relationships are based on pure personality more or less, which make for awesome friendships if you ask me! I also now have that song stuck in my head! I love that you blog for "you." I think that is why your blog is authentic and one of my faves! I agree with you about Victoria. She is SO thoughtful. Great word to describe it. I feel like I comment on every single post of yours, but I seriously enjoy reading your blog so much. I feel like I relate really well to you, and I love looking at your pictures. Thanks for being awesome. And rainy day drafts are the bessst. Now that it's rain season (as I like to call it), I have a feeling writing and blogging will be a lot higher on my to-do list. I love what you said about blogging being an umbrella art form. I never would have thought of it like that (or said it as nicely as you did!) but it's so true! Haha, you're welcome for that! I had it stuck in my head when I was writing this post so it naturally had to be the blog post's title. oh girl i'm sure you could totally crank out posts like that - but you don't have to because you are awesomely organized haha i am soooo jealous of that jealousy. Um, nope definitely couldn't. I don't work well under pressure, that's for sure! :) So yep, still jealous of your ability to pump out those posts!